My answer is: yes there is a brush that has been designed for use with braces and i intend to give you all the information necessary for you to make a decision on weather it is right for your kids. Superior cleaning and plaque removal are one of the main selling factors that make Electric toothbrushes far superior than manual ones. If your kids have braces it is quite hard to perfect the technique, but with electric brushes on hand, you dont have to worry as they clean all those little spaces in your mouth easily and efficiently for you. They aren’t a gimmick either as some people have said. I say this because they are recommended by top dentists around the world and time after time studies have been carried out and the conclusion is that they remove far more plaque (upto 90%) and dirt from teeth than manual brushes. What should make you even more excited is the fact that there are customized cleaning modes on these brushes that make them an excellent choice for people with braces. 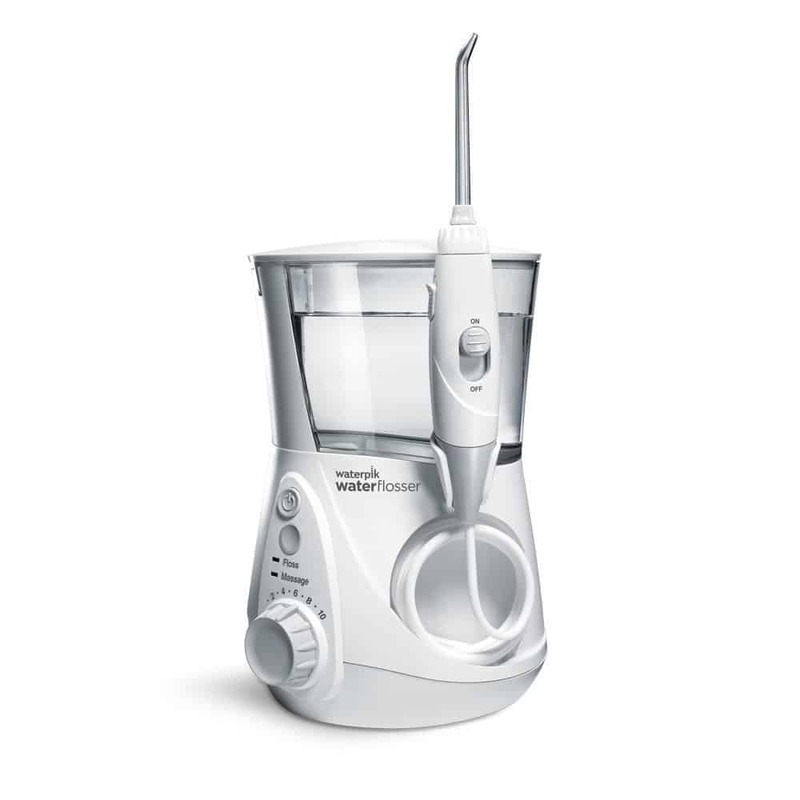 With that being said, lets talk about my number 1 Best electric toothbrush for kids with braces…. The great thing about Philips toothbrushes is they contain sonic technology which makes all their brushes suitable for braces. And out of the sonicare range i highly recommend the diamond clean. It’s one of the top of the range toothbrushes with a price tag of $189.95 which some would argue is on the high side but in my opinion it is well worth it. Clean mode is your standard mode that will deliver an exceptional 2 minute cleaning experience. White mode will give you 2 minutes of surface stain removal plus a 30 second burst to brighten and polish front teeth. Sensitive mode will gently brush your gums and teeth to reduce irritation. Gum care mode is basically the clean mode but an additional minute of gently massaging and stimulating the gums. Deep clean mode will give you 3 minutes of deep cleaning that tackles those hard to reach spots and any trouble areas. 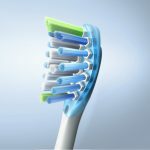 Any toothbrush that has multiple cleaning modes is great for people with braces as you can get a different clean each time and eventually one will feel the most comfortable so then you can use that mode for your braces every time. This is a funky feature that i like very much. it’s unique to the DiamondClean and basically you get a glass holder which you put the toothbrush in and like magic it will start charging automatically. This is thanks to the conduction technology. The glass can also double up as a mouth rinser once you remove the base. The rechargeable battery lasts upto 3 weeks on a full charge (42 uses) which is excellent. There is a battery indicator light on the toothbrush which will tell you when the brush needs charging. the light will start illuminating. You also get the standard plug socket charging for on the go situations or you can charge directly from the travel case through a USB cable via a laptop. The choice is yours! Diamond clean brush head is great for getting that white smile. they say it can whiten teeth in just a week, although i would take that with a pinch of salt. It will though remove stains from the teeth overtime. Adaptive clean brush heads are specifically designed for that deep clean and plaque removal. they are proven to reduce gingivitis by 100% compared with regular toothbrushes. You can’t go wrong with this brush head which is why it’s included with the package. The sonicare diamond clean is not suitable for babies or toddlers. It can however be used by children 8 years and over. But for the first couple of uses you should supervise them to make sure they are brushing correctly. Once you are satisfied they know how to use the brush you can let them carry on by themselves. I am sure they will find brushing teeth no longer a chore but rather a fun activity. Keep that in mind. Most customers buy this brush on Amazon and the majority leave reviews. 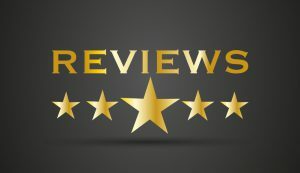 Reviews are your best friend when making a purchasing decision. What i want to do is give you a couple of good reviews left by customers and a couple of bad reviews. this will put things in perspective and will give you a better idea as to how the DiamondClean compares. “Charing glass system is nice. The varying stages are good when you start out. “paid $185 for this toothbrush and it has not lasted 6 months. Coming apart.” Published by David Mac. What i am trying to get across is the fact that every product will have positives and negatives surrounding them. Take my example: I brought an oral b 5000 for myself and it was great and i still have it. There are reviews for that which are bad, but for me the good overpowered the bad which is why i brought it. Thats exactly the same for this toothbrush with 83% of people giving it a 4+ star rating and only 17% giving it a 2 or less stars. 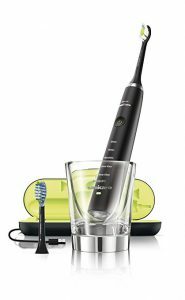 The one i would recommend is under $100, well actually $99.96 and is the Philips Sonicare Easy Clean Sonic Electric Toothbrush. 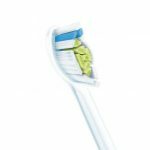 This brush also features Sonicare’s patented sonic technology, It’s dynamic cleaning action drives fluid between teeth and along the gum lines. It comes with 1 pro results brush head, 1 charger base and a hygienic travel cap. And like the Sonicare diamond clean it is also proven to be safe on orthodontics, dental work, veneers, implant material, and sensitive teeth. If you don’t have the money to spend nearly $190 on a toothbrush then the easy clean mid range brush is the cheaper alternative which is great for kids with braces. The Sonicare diamond clean is the toothbrush for people with braces, no doubt about that. 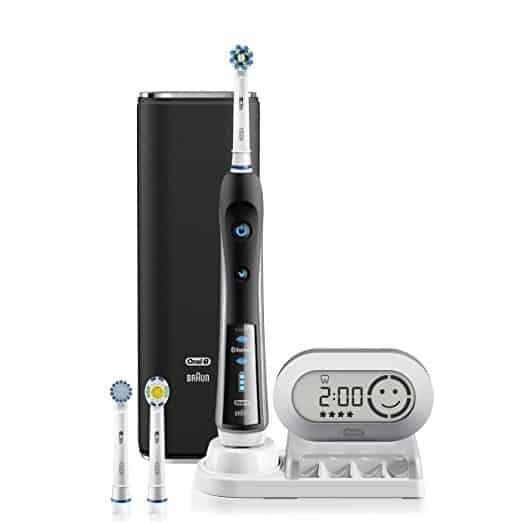 It comes with various features as you would expect from a top of the range electric toothbrush and once you show your kids how to use it, you will be happy knowing the braces on their teeth are clean and safe. I hope you have found this article helpful, I have tried my best to give you enough information to make a decision. If you have any questions or queries, or even a complaint please leave a comment and i will get back to you. Thank you for this review of Best Electric Toothbrush For Kids With Braces. I was actually looking for an Electric Toothbrush that could be used by a toddler aged 4. 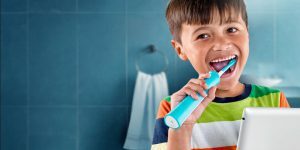 Do they even exist or is it too early for children under 8 to use Electric Toothbrush? I am using one and my boy always asks to try it out. However, I am afraid that his gingivitis is still too sensible for Electric Toothbrush, what do you think? Then I wanted to ask what is exactly the Sonicare’s patented sonic technology? Coming to your second point i would recommend you not let your boy use your brush, for the simple reason that it’s unhygienic and secondly the brush might be too powerful for his young teeth. Get him a kid friendly brush. Great article. I never knew electric tooth brushes were more effective than manual tooth brushes for kids with braces. One of my kids wears braces but most times due to the tiny spaces, food particles get trapped. I am so happy I found this link, Thanks a lot for this recommendation. 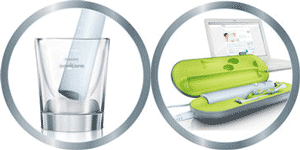 I will really love to get the Philips Sonicare toothbrush. This article is very enlightening and interesting. Hi John, thanks for sharing your thoughts. 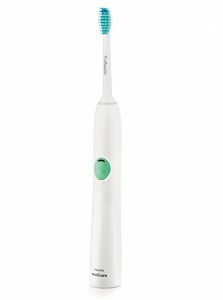 I am a big fan of electric toothbrushes over manual ones because they are proven to be more efficient and give you a better clean. There is a technique to cleaning teeth if you have braces, you need to place the brush on the individual tooth at about 45 degree angle and leave it there for 5 seconds and then move onto the next. There is a video i posted in the article so if you watch that you will get a much better idea of how it’s done . 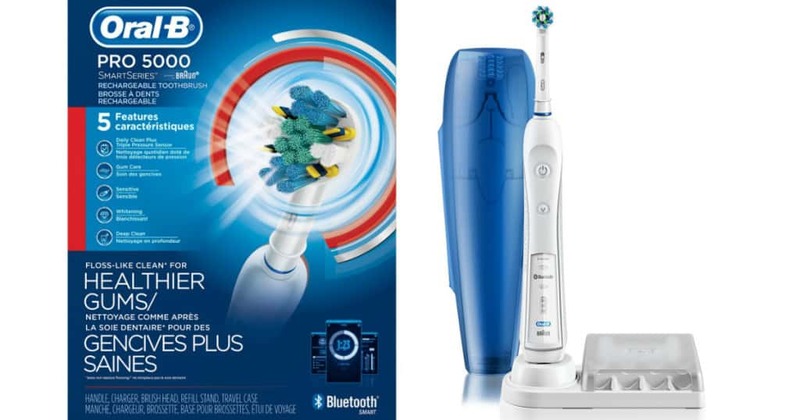 Philips sonicare toothbrush and Oral B toothbrushes are excellent, My personal preference is the oral b 5000 as it’s a great all rounder.